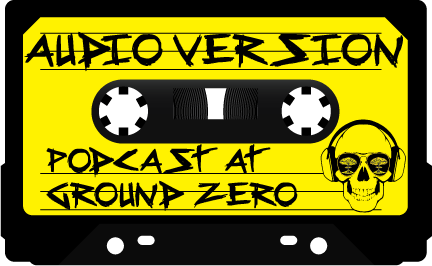 For the 38th episode of Podcast at Ground Zero the topic will be the Cold Apocalypse. On this week’s show we are going to talk about the end of the world being brought on by the cold. We’ll cover the usual movies, books, etc. as well as our thoughts on possible “real live” cold apocalypse. Returning to join us in the conversion will be special co-hosts and friends of the show Clint Staples. Clint Staples is a writer, game designer and miniatures sculptor. So join Scott, Clint and I through our trek thru the Cursed Earth we think you’ll enjoy the company.